Real Madrid president Florentino Perez said he is ready to bring Lionel Messi to his club if Barcelona decides to sell him. In news posted by Goal proclaims that Florentino Perez offered 25 million Euros per season to Lionel Messi, but the Argentine decided to stay in Barcelona. 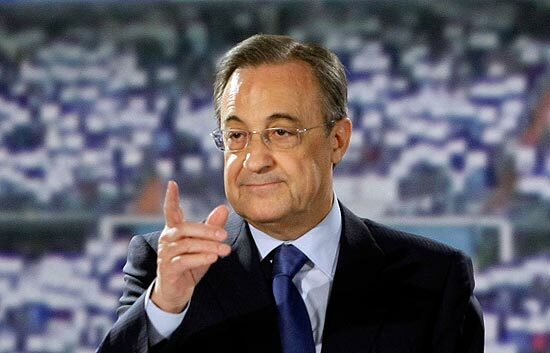 Speculations have also suggested that president Florentino Perez has told Cristiano Ronaldo he’ll replace him with Lionel Messi if he pushes to leave. “If Barca wants to sell Messi, we are ready for the agreement. If I had the chance, of course I would try to sign him,” said Perez. It is actually a great and useful piece of info. I¡¦m glad that you shared this helpful information with us. Please stay us up to date like this. Thank you for sharing. Heya. I always cannot enjoy researching blog posts because I believe that they are poor quality. Nevertheless, that one was worth checking because it presents fun and checked information.